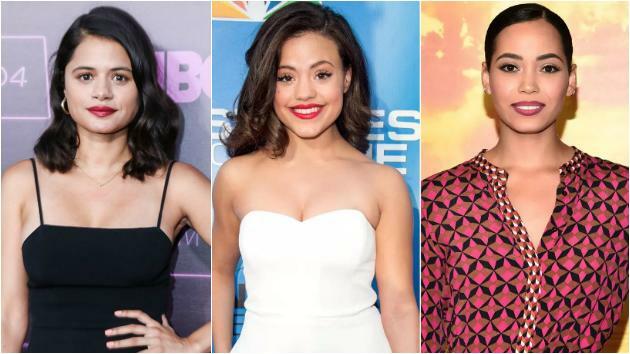 The CW’s reboot of the Charmed cult series has added Madeleine Mantock, joining Melonie Diaz and Sarah Jeffery in the three lead roles. Mantock, Diaz, and Jeffery take the place of the original stars Alyssa Milano, Holly Marie Combs, and Shannen Doherty, who was replaced by Rose McGowan in season 4. The reboot will follow three sisters who, shortly after the tragic death of their mother, learn they are witches. Despite the shocking discovery, they must soon band together to vanquish powerful demons and topple the patriarchy. Mantock stars as Macy, a driven and brilliant geneticist who’s completely shocked by the their supernatural self-discovery, while Diaz plays Mel, an outspoken activist who has lost her way. Jeffery rounds out the trio as Madison, the baby sister who doesn’t want being a witch to conflict with her hopes of joining a sorority.